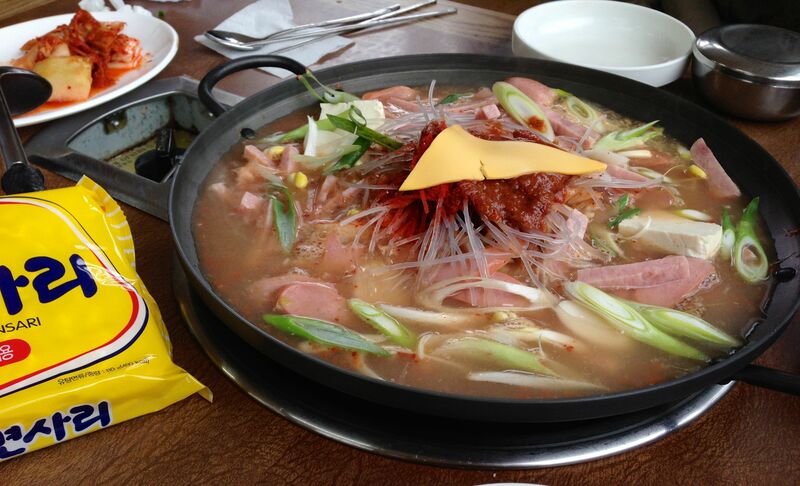 Budae-jjigae is my favorite dish. This hearty stew was a creation of US Army rations post World War II – sliced hot dogs, vegetable dumplings, Spam, kimchi, tofu, ground pork, baked beans, green onions, ramen, sliced rice cake, bean sprouts, a slice of cheese, and red pepper paste. Today, it’s an inexpensive and filling meal that makes a great lunch or dinner. Other ingredients are available a la carte. A few shops offer unlimited ramen, and all serve side dishes such as bean sprouts and kimchi. There’s a popular local chain called Nolboo that serves variations of the dish, though I find mom-and-pop shops to be better. Supermarkets offer pre-made types in the refrigerated section as well as stock to make the broth. It’s not difficult to prepare and it’s an easy meal to customize to your tastes. 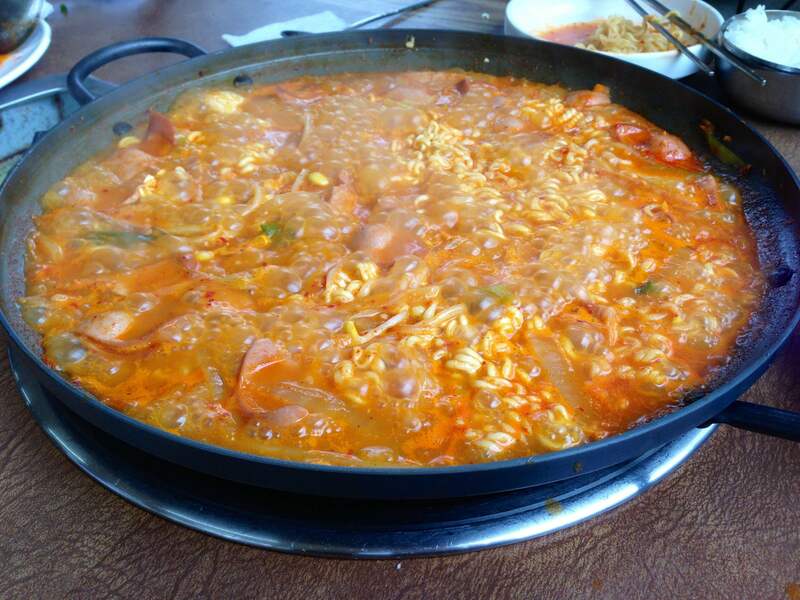 This entry was posted in Food and tagged Army, baked beans, bean sprouts, budae-jjigae, budaejigae, cheese, green onions, ground pork, ramen, red pepper paste, spam, stew by easykorean. Bookmark the permalink.